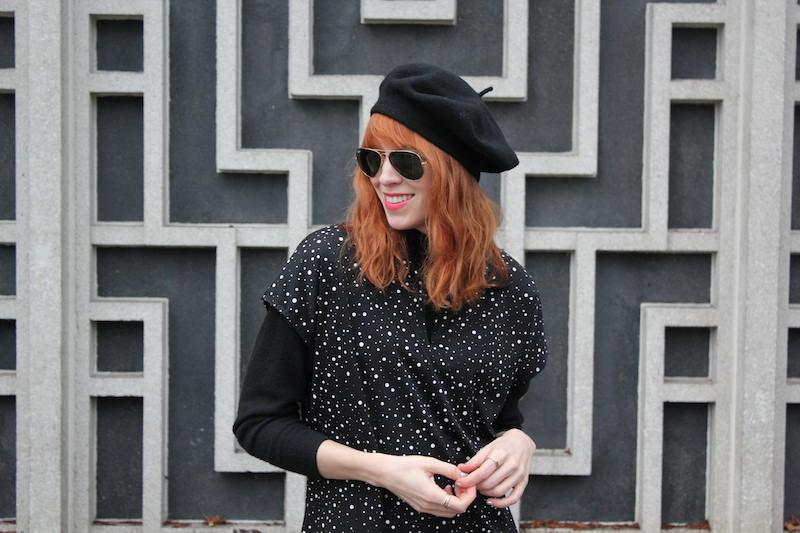 My last outfit post in Minneapolis! It's finally cold enough to break out my grandma's mink coat ... I won't have many opportunities to wear it in Seattle, land of moderate weather (countdown to move = four days). Definitely the coolest thing about this jacket are my grandma's initials embroidered on the lining inside: EOR — stands for Erma O'Regan. I posted some photos of her looking elegant and stylish back in the '70s, which reminds me that I need to find more photos of her outfits. She's now 97 years old. No one else in my family cares about fashion, so I'm certain that I got my interest in clothes from her. Oh, grandma. I'm going to miss you very much when I move.